Kate writes poetry for both children and adults and is a fan of The Mouse and His Child. 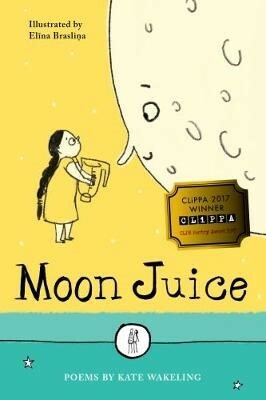 Her first poetry pamphlet The Rainbow Faults was published by The Rialto and her first collection of poems for children, Moon Juice (illustrated by Elīna Brasliņa) is published by The Emma Press, won the 2017 CLiPPA Prize and was nominated for the 2018 Carnegie Medal. Kate will be reading both her children’s poems and adult poems.